So You Want to be an Unnata Teacher Trainer? 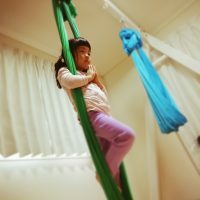 You’ve graduated from an Unnata Teacher Training, and you’ve fallen in love with this unique, and truly “yogic” style of aerial yoga. What’s next? Obviously you want the world to fall in love with Unnata too, and you can’t wait to further your own growth as a teacher. It makes sense that you’d be inspired to take the steps toward becoming an Unnata Teacher Trainer, right? If it’s truly your dream to become an Unnata Teacher Trainer, then following that path can provide a wealth of wisdom, experience, and the joy of contributing to your students and the Unnata method. But it’s also a ton of work! We get dozens of requests every year from Unnata teachers (and even non-Unnata teachers!) who want to become Teacher Trainers. And while we encourage those who are experienced, committed and motivated to follow their dream, we also recognize that not everyone who sets foot on the path will complete the journey. It’s a rigorous program to be certified as an Unnata Teacher Trainer. If you want to be a trainer, you must first meet certain prerequisites, be accepted into an apprenticeship program, train for many additional hours, and eventually be certified to teach. 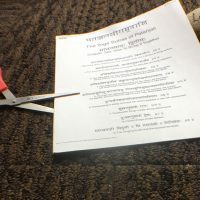 Then, once you’re certified, you become a vital part of the Unnata leadership team, and you serve as an ambassador of the Unnata method for the entire community. This requires many additional hours of service and administrative work, and a commitment to uphold ethical standards of conduct, as a steward of the Unnata brand. Realistically, you’ll only teach one or two teacher trainings a year, and all payment for your service will come from those trainings – it’s not exactly a full-time job. Though it might be tempting to envision a life of jet-setting across the globe, training enthusiastic teachers in an Aerial Yoga method that makes your heart sing – the reality is that it’s some play, and mostly, it’s work. And yet, the work is deeply rewarding for those who see the vision of Unnata, and are willing to devote themselves to the path, in the spirit of seva to the community. Still want to be an Unnata Teacher Trainer? If you do, we have clear guidelines of what we expect from our trainers, so that you can take the necessary steps on the path of becoming a certified Unnata Teacher Trainer. We uphold high standards for our trainers, and this ensures that every Unnata training delivers the same exceptional experience for all participants. We value the unique perspectives, contributions, and expertise of each trainer, and we work together in community to ensure we teach with a unified voice. We prioritize teachers who have specialized expertise, for example, Yoga Therapy, Prenatal Yoga, Yoga for Cancer, Mudras, Mantras, Meditation, Pranayama, Yoga Sutras, etc. We also prioritize teachers who have taken the Level 1 and/or the Level 2 course more than once. 2) Apply to Apprenticeship Program. Submit a video of you teaching a full class with $50 review fee. If your application is accepted, you pass the interview, your observation notes are accepted and your video is approved, then you will become an official Unnata apprentice! Once you complete all assignments, and Michelle Dortignac approves you as a trainer, you sign the contract, and you’re in! In the rare case that you are not approved, you will work with Michelle Dortignac or another Unnata trainer to identify your weaknesses and make a strategic plan to improve. All Unnata teacher trainers have demonstrated strong competence throughout apprenticeship training. Once approved as trainers, they continue to contribute to the Unnata community in many ways. As ambassadors of Unnata Aerial Yoga, it’s important that teacher trainers work together and support each other in addition to supporting the entire Unnata Yoga community. Participate in a group Skype meeting 2 or 3 times a year to stay up to date with textbook changes and administrative changes. 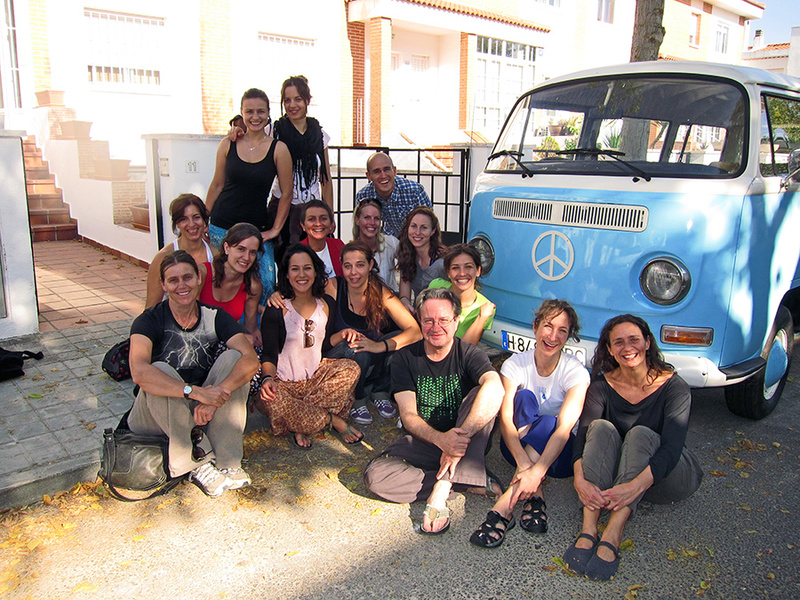 Provide one blog post a year to the Unnata Yoga website. Be a leader on the Facebook Group for teachers by posting regularly, and/or answering questions. Provide translation for communication between your students and the main office or Michelle Dortignac (if you live in a country that does not use English as the main language). Remain alert and notify the main office to abuses of the marks and copyrights. Understand and explain the limited license agreement to your students. Follow up with students who don’t graduate from the course the first time they take the test. Uphold the established policies and standards for the teacher training course, and adapt when policies and standards are supplemented or changed. Send license fees for your trainings to Unnata LLC. As you can see, teacher training course leaders have many responsibilities in addition to leading trainings. They are also Unnata’s most important advisors, and have a lot of influence over the direction of the method, the community, and the business side of the organization. It can therefore be a very satisfying and emotionally rewarding position for the right person. If you are committed to further your own growth and support the evolution of the community, and wish to become an Unnata course leader, we support you in fulfilling your goals, and welcome your application to the apprenticeship program. If you decide not to pursue teacher trainer certification after realizing the depth of commitment this path requires, we continue to appreciate your unique contribution to Unnata, and encourage you on your own journey, wherever it may lead! So you’ve made your decision, you have all of your requirements, and you now feel ready to start your Teacher Training journey! What’s next? Michelle wants to hear from you! Email her at [email protected] and request the application form.